Tom Yam Goong is definitely the most popular and familiar Thai soup. This soup has an interesting mixture of taste; hot, spicy and sour. 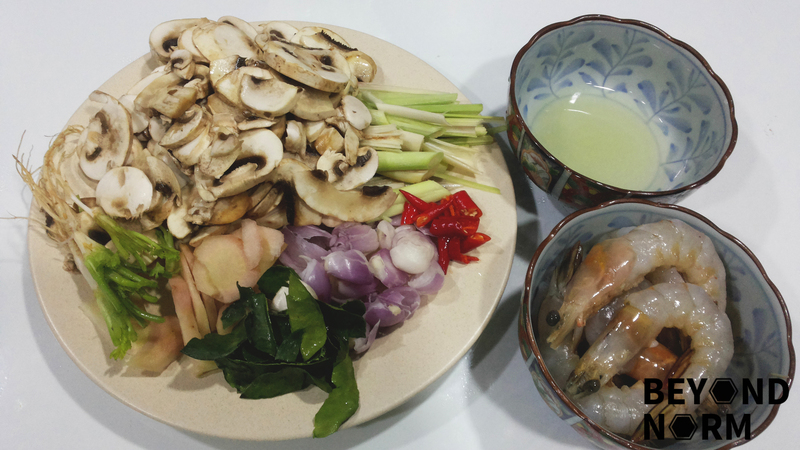 Goong is the Thai word for prawns so you can guess that the main ingredient for this soup is prawns. If you do not fancy prawns, you may replace prawns with other types of seafood or with chicken and it will still taste great. I first learnt how to cook this soup from a Thai chef so ahem, I assumed that this is an Authentic Thai Tom Yum Goong. Hahaha! I have adjusted the ingredients according to our liking and hope it suits yours too!! 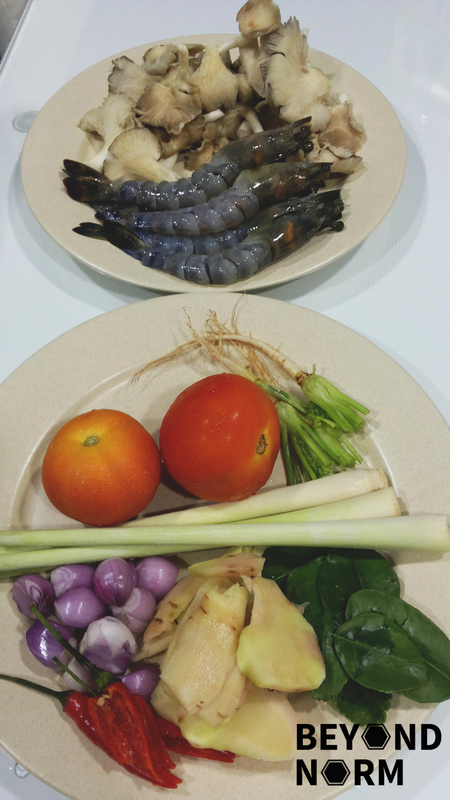 Peel and devein prawns and set aside. Keep the shells and heads for stock. Add 4 cups of water into a pot and bring to boil. Add prawn shells and heads and simmer for about 30 to 40 minutes. Discard the shells and heads to get the prawn stock (about 3 cups) and put it into a pot. Remove the outer leaf of the lemongrass and trim away the top and the bottom. Use the dull end of a cleaver and lightly bruise the lemongrass to release the flavour. Slice the bruised lemongrass diagonally into 2 inches long and set aside. 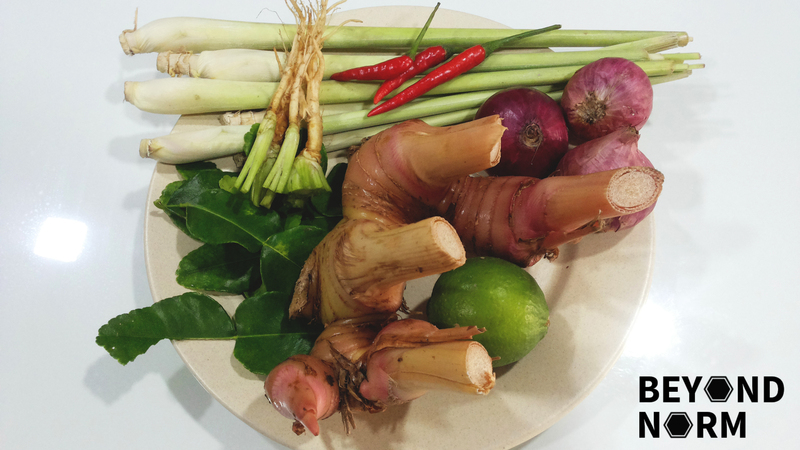 Peel the galangal and slice them into ½ cm thick. Set aside. Clean the coriander roots and bruise them. Set aside. Peel the skin from the shallots/onions. Bruise the shallots and cut into half or cut the red onions into wedges and set aside. 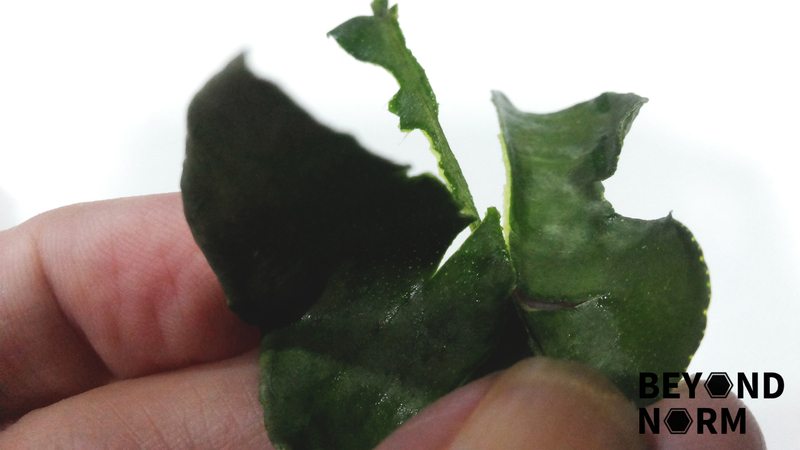 Wash the kaffir leaves and tear the leaves with center veins remove. Rinse the chillies and cut it into 1 cm thick if you want to keep the seeds. I used 3 chillies and the level of spiciness was good for us. If you are going to de-seed, you might need more chillies otherwise it might not be spicy enough. You need to slice the chilli into half the remove the seeds and then cut them into 1 cm thick. Slice the lime into half and squeeze the juice into a small bowl and set aside for later use. Rinse the mushrooms, drain and set aside. Cut the tomatoes into wedges and set aside. Bring the pot of prawn stock and 1 cup of chicken stock (homemade) to a boil. Add the lemongrass, galangal, coriander, kaffir leaves, and chilli. Add in mushrooms and boil for a minute. Add tomatoes and shallots/onions and boil for 2 minutes. Add in the prawns and skim away any foam that is built up on top of the soup for another 2 minutes. Add in about 4 tablespoons of fish sauce, 4 tablespoons of lime juice and 1 teaspoon of sugar (if you are using). Boil for another minute and turn off the heat. 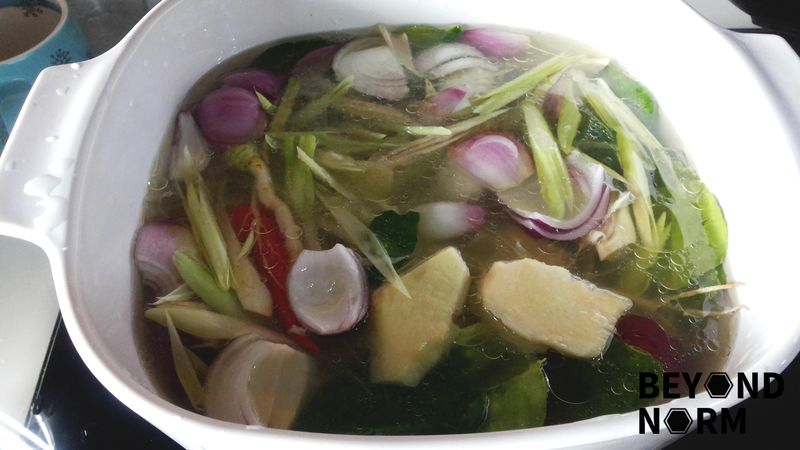 Taste and adjust by adding more fish sauce or lime juice into the soup and giving it a stir. Scoop the soup into individual bowls or a large serving bowl. Garnish with coriander leaves and serve. I love the creamy version ! Can you post the receipe? I’m googling some recipesof Tom yum goong for a home party and I like your recipe. It’s easy to understand. It’s gonna be fun!